Remember the wedding a fortnight ago when my 'Pussycat' niece got married to her 'Owl'?. 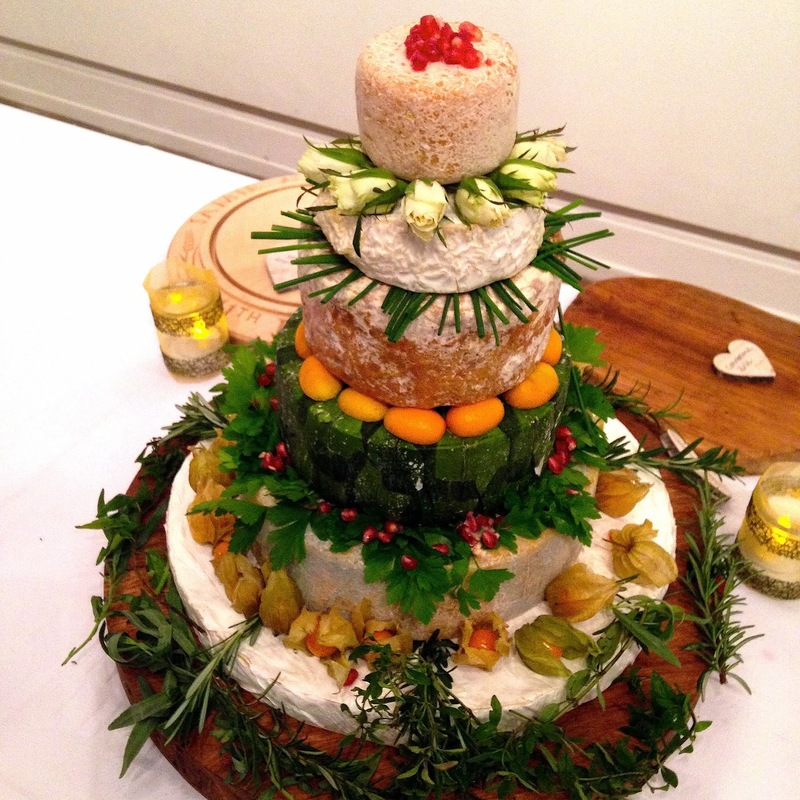 Instead of a traditional wedding cake they chose a tower of artisan cheeses - a wedding cheese cake. The Lamorna cheese cake looked fabulous on the website, a vision of foliage and flowers. The cheeses are shipped without the decorations, which is where I came in. The original idea was to put fresh herbs around each layer but a quick check of the veg patch gave me only bay, french and curly parsley, rosemary, marjoram, a few chives. I felt some colour was needed to bring a bit of sparkle to the party. So, after a dash to the shops, pomegranates, physalis, tiny white roses and kumquats were added to the stash. I'd pictured myself artistically styling the cheeses in a manner to befit a House & Garden photo shoot. As it happened, I was allowed at the unopened box of tightly wrapped cheeses only FIVE minutes before the bride and groom stood in front of The Cake for the line up! No pressure there, then. I ran back to where the other guests were leisurely quaffing champagne, gathered an impromptu creative team (my son and another niece, both adult) and, in a frenzy of unwrapping, lifting, chopping, placing and sweeping up - this is what we came up with. Not quite the glorious vision in my head. But possibly the best 5 minutes work I'm ever likely to do! And you can see why there are kumquats left over. We chopped them in half and used them as 'feet', leaving me half a bag for marmalade. PS. I'm guessing the cheeses were absolutely delicious. After the meal and speeches, and the cake being cut, I went to greet a cousin and returned to see just an empty platter and a few herbs … all cheeses eaten! C'est la vie. Stunning, isn't it! I can say that without boasting as these plants aren't mine. I'm blatantly taking advantage of Garden Bloggers' Foliage Day being hosted by Christina over at her blog to show you my Capel Moment from last week. I'd popped into the manor house walled garden to see if the irises were coming through (they weren't) and walked back past the greenhouses. 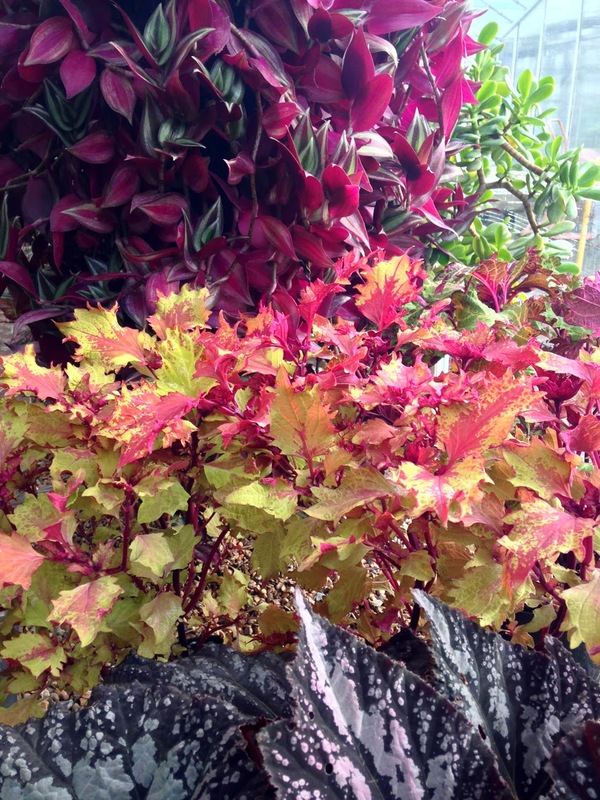 These coleus (correct me if I'm wrong), etc, were suddenly lit by a ray of sun, the colours so glowing I had to pop inside for a photo. It's like autumn all over again and makes me (almost) wish I bothered with houseplants! Last Monday I was up at dawn and driving south east out of London towards East Sussex. I was headed towards a Study Day at Great Dixter led by Fergus Garrett and had taken the day off work in order to attend. Double nice. It was the first Study Day in the Dixter calendar during which a small group of us would hear what Fergus had to say about Choosing and Using Seeds - drawn from his 20+ years of experience as Head Gardener at Dixter - together with practical hands-on demonstrations. I hadn't quite appreciated how in-depth the topic would be but at the end of the day my head and notebook were stuffed with information that will change the way I garden. 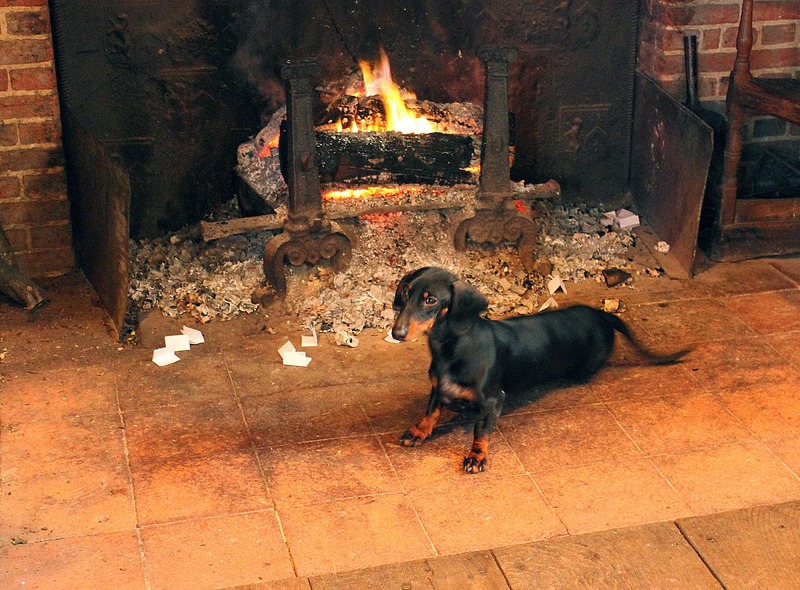 After a welcoming hot drink, the day started downstairs in the Billiards Room with a roaring log fire at our backs. A lively talk and slides presentation showed us how we could emulate the system that the Dixter gardeners use to produce glorious border displays from spring through to late autumn. 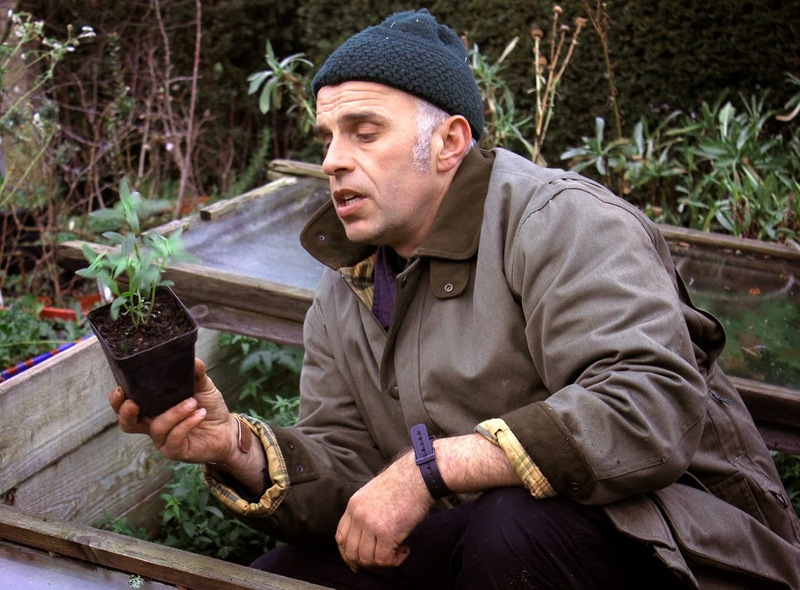 Fergus basically revealed the secret of manipulating a plant to be at its best at the time you need it - within reason, obviously. 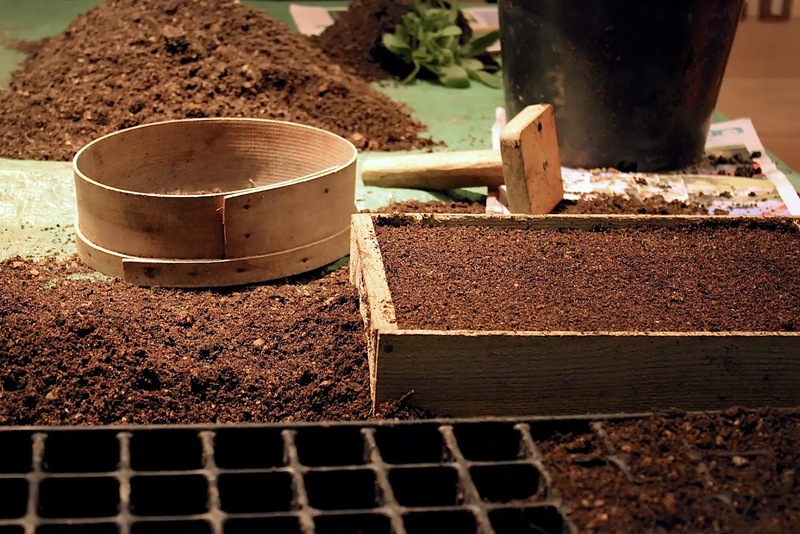 We also learned of the most reputable seed suppliers, how seed selection can be full of potholes if you want a specific plant, propagation methods suited to different plants, sowing in a way that maximises use of cold frames and greenhouse space, filling the 'June gap' (after bulbs have finished and before the perennials kick in) and sowing to prolong autumn displays. I've always struggled with the need to maintain the momentum of seed sowing throughout February and March but was pleased to hear that staggered sowing throughout the year is positively encouraged! I thought back to my first sowing in the veg patch when beetroot and lettuce sown in mid-August provided a late season harvest; in fact some of the smaller pricked out beets were ready for eating in early spring. It was a one-off experiment that I would have done well to repeat. Fergus' passion for plants shone through the day; as we went through the slides, he extolled the virtues of one plant over another, emphasising the need to get to know how different plants perform, looking at plant combinations that worked well (and the how and why of this) - and the idiosyncrasies of some seed mixture, citing a single packet of Cosmos that produced both early and late flowering plants. I scribbled notes rapidly and managed the salient points plus the names of several noteworthy plants. Fergus was generous with his knowledge as members of the group asked questions that related to their own gardening - there was never any sense of interrupting his flow, in fact discussion spurred him on to offer more advice and we almost missed the coffee break! There was time, after a generous lunch, for a walk around the gardens. Mild weather has brought the hellebores and iris into flower with perennial lupins waiting to pick up the show. The crocus are not yet out in the meadow, a sight to look forward to in the spring, but clumps of snowdrops are already sprinkled throughout. Magical. After summarising all we'd learned in the morning (and throwing in a few more plants for good measure), Fergus led us away from the soporific warmth of the billiards room, through the gardens to the nursery where we were shown how the cold frames and greenhouses are used at Dixter and plants that had been grown in line with the methods outlined by Fergus that morning. Hundreds of plants are grown at Dixter, both for their own borders and for sale to the public, so there were lessons in plant care to be learned there; we saw how to create the best environment for seedlings, plants that had been potted on in the autumn and were ready to go into the borders in spring, how hot and cold weather protection is managed and when the greenhouses are used rather than a cold frame. 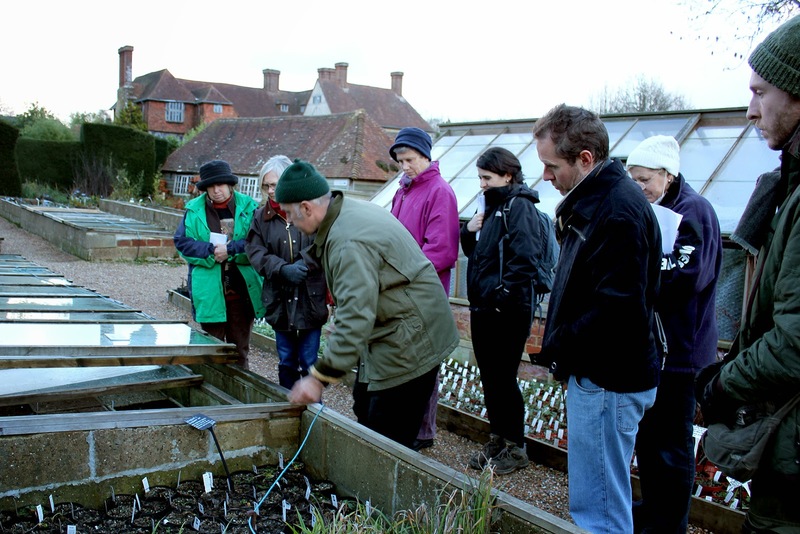 As the light faded and the air became chill, we headed down to the education room for reviving mugs of tea and home-made fruit cake with a detailed practical lesson in seed sowing, pricking out and potting on given by Fergus. There was a large box of seeds collected in the wild by plant hunters Jim and Jenny Archibald; these had been given to Fergus after Jim's death in 2010 and these seeds were used to illustrate lessons in collecting seeds, correct storage and seed viability. We were told which seeds are best used fresh and of others that will be viable for several years, depending on storage. The topic of this Study Day ('Choosing and Using Seeds') is clearly a subject close to Fergus' heart; we overran slightly but not before Fergus had checked that was okay with everyone. We were also generously offered an opportunity to return to Dixter in the next few months for a supervised seed sowing day - with pricking out thrown in especially for yours truly! My mind was whirring as I drove home down pitch black country lanes after this extraordinary day. In garden design we identify 'the spirit of the place', a quality Great Dixter has in abundance. It was great to return for such a fabulous day, meeting fellow gardeners and reacquainting with Dixter (staff, house and gardens) and with a wealth of invaluable knowledge passed on by Fergus - he is a generous and amazing teacher. 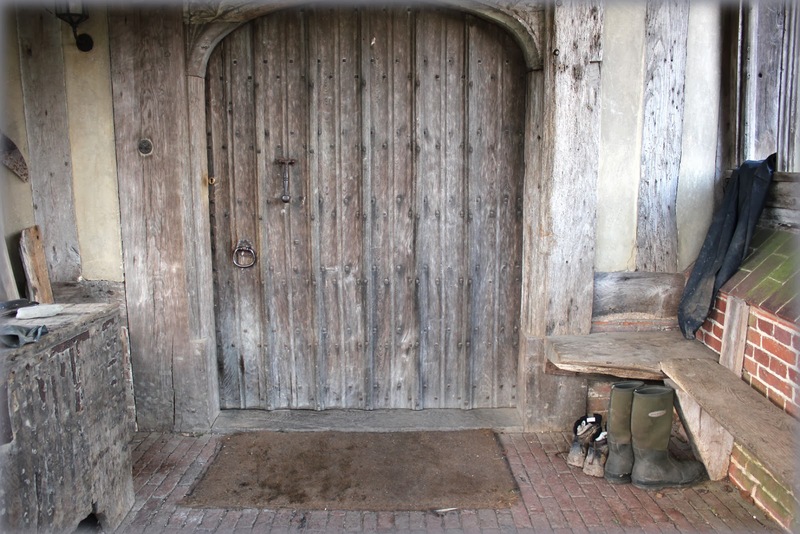 This weekend I read a short interview with James Horner, the 2010 Christopher Lloyd Scholarship trainee, who says, "…the first time I visited Great Dixter … I had a feeling of belonging." It gets me that way too. Winter Open Weekends are being held on the 15th/16th and 21st/22nd of February. 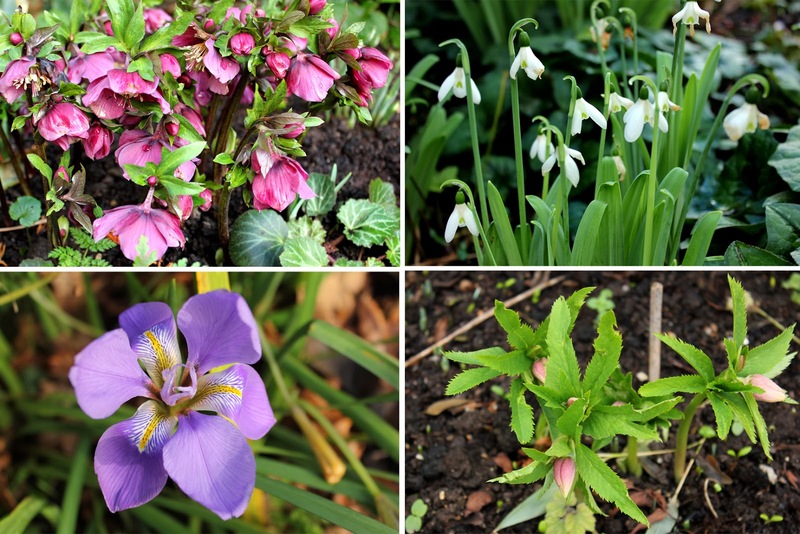 The Spring Plant Fair is on the 5th and 6th April, 11-4. Or, as I read elsewhere, Quince Charming. Why am I writing about quince now, when the season for quince harvesting has passed? Well, one of my lovely nieces is getting wed tomorrow and her fiancé proposed with the gift of a runcible spoon, so owls, pussycats, quince and spoons have loomed large in my week as I've made quince jam for the wedding feast and also had to pick up the emergency baton of designing her Order of Service and wedding breakfast menu cards after her graphic designer went awol. An enduring memory from last January was the sight of fallen fruit under the Chaenomeles x superba shrub in the Capel Gardens. The class was trotting briskly around in the snow in mid-January doing the plant ident walk; this plant was one of the few shrubs offering winter interest with its deep red blossom but my eye was drawn to the fruit which looked very edible. I remarked to our tutor about the yellow fruits rotting under the bush. Oh, yes, she said, those are edible, they're known as Japanese quince. I tucked this information away in my head for further research and future use. Spin forward to late summer and thoughts of quince resurfaced when my niece's fiancé produced the vintage runcible spoon. (The Tiffany jewel duly appeared after a trip to New York.) I kept a watch on the shrub with thoughts of making a quince preserve, otherwise known by its Spanish name of Membrillo, and was rewarded with a 2kg haul of fruit in mid-November. The fruits are usually ripe by early October but last year was a bit skewed, weather-wise. The preparation is relatively simple but needs time. An internet search* caused confusion, particularly with regard to the ratio of sugar to pulp or liquid. Eventually, a decision was made - and it turns out quite a few folk have a sweeter tooth than me! For my second batch, I used less sugar and added spices: star anise, cinnamon, juniper berries, cardamom and a vanilla pod. I read that quince jelly is a great addition to Morrocan stews and tagines, or served with lamb in place of redcurrant jelly. Has anyone tried using it this way? Or you can use it as a chutney, in sandwiches or with cheese. My favourite is with Manchego, a salty Spanish cheese; luckily there are a lot of crackers to be used up after Christmas. I've now made both membrillo and quince jelly and found that they keep very well in the fridge or sealed jars, as you'd expect. As I used Chaenomeles fruit, rather than fruit from Cydonia oblonga, the true quince tree, I was curious to know how the taste compared so bought a slice from Waitrose (where else?). There is a very slight difference, the true quince membrillo being slightly more perfumed and that's enough for me. 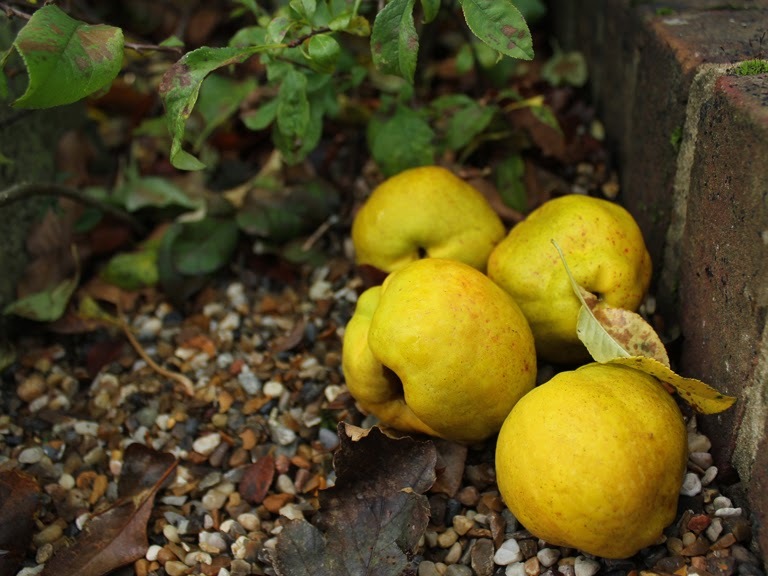 Naturally, I want it all, so a quince tree went onto my plant wishlist … and there's good news on that front from the veg patch's friends at Victoriana Nurseries in Kent. They are giving me a quince tree for the community garden! I couldn't have asked for a more wonderful start to 2014! 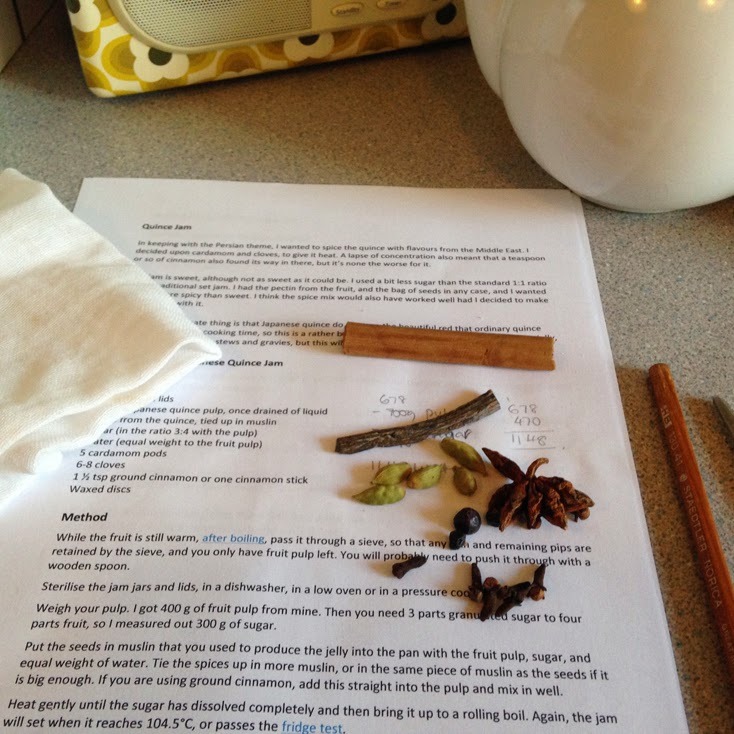 Edible Things - recipes for quince brandy, jam and a clear jelly. Cottage Smallholder who recommends oven baking quince to add to pies. Oh for the Love of Food who writes of her mum's quince chutney recipe. 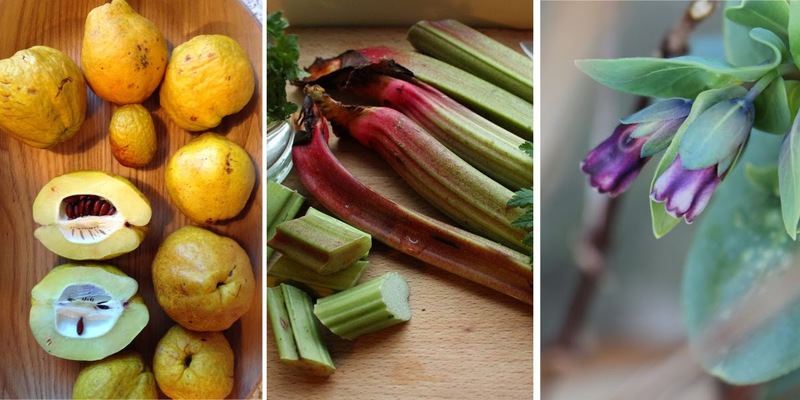 Veg Plotting - writes of roasted quince with a link to quince tart. Or there's always The River Cottage Preserves handbook. I never knew there were so many ways to preserve edibles. Excellent. First turn of the screw, all debts paid. I feel that sailor's saying would make a apt quote for the gardening new year. Last year's lessons learned, mistakes swept away, new seeds to buy, tools to sharpen and planting plans to consider. Wouldn't that be nice. However. Rather than relaxing over the winter break, I've been busily been playing catch up in garden and home. Tulips have been planted in my parent's garden over christmas so my mum will have some spring colour to look forward to. She can't garden at all now but still takes an interest so I've been popping perennials and bulbs in when I visit. Over a hundred tulips have also gone into the gardens here at York Rise. Our newly appointed Housing Officer likes everything in the garden to be neat and orderly. On her first visit, she had to be dissuaded from having the veg patch fruit trees chopped back into a nice neat shapes but our powers of persuasion didn't extend to the London Planes outside my window which are now birdless, ugly stumps and another mature, ivy clad tree (home to many little birds) has been felled because it leaned. For some reason she reminds me of Dolores Umbrage in the Harry Potter books. Having safeguarded my fruit trees, I still feel the need to divert her attention and have started a plan of floral distraction with tulips, polyanthus, violas and bellis perennis. And, in due course, I'll also be planting my lettuces out in neat, but colourful, rows! I don't have a 'garden shed' here so, falling in with the new regime, I've spent a few days moving piles of spare pots, cloches, netting, chicken manure, trug tubs and bags of compost up to the caretaker's hut at the opposite end of the flats … not exactly handy having to walk 150 metres to get a pot but, strangely, I'm rather enjoying the enforced tidiness. College work continues apace - 5 garden elevations done before the break and another 2 garden designs to complete within the next few weeks … and an exam on garden history sometime in the coming weeks. In January we had a new apple tree, gifted from the London Orchard Project. This made our 9th fruit tree! The 'Core Blimey' apple has been specially bred to thrive in urban conditions and seems to have done well, despite the stakes and ties being removed by pranksters. (They'll have to be replaced as trees should be staked for the first 3 years.) It was planted into a long stretch of grass where several mature trees had previously stood - just before the snow descended. February gave me the new experience of visting the London RHS shows where I met suppliers and brought home a tiny and very beautiful Chilean Guava which, sadly, did not make it through the year. 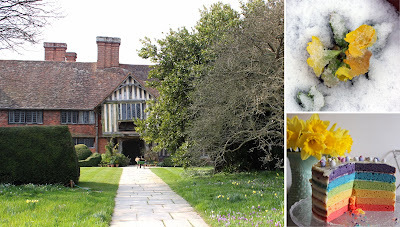 March, my birth month, shines out in my memory for the fabulous day out to Dixter where I met a few of my fellow garden bloggers. A deeply rewarding day on account of both the gardens and the people - bloggers and Dixter staff alike. We were lucky with the weather too, as snow and ice were lingering just 3 days beforehand but it was bright and clear for the trip. Earlier in the month, I'd been to Potato Day at the Garden Museum in Lambeth - another first that I'll be revisiting this year. 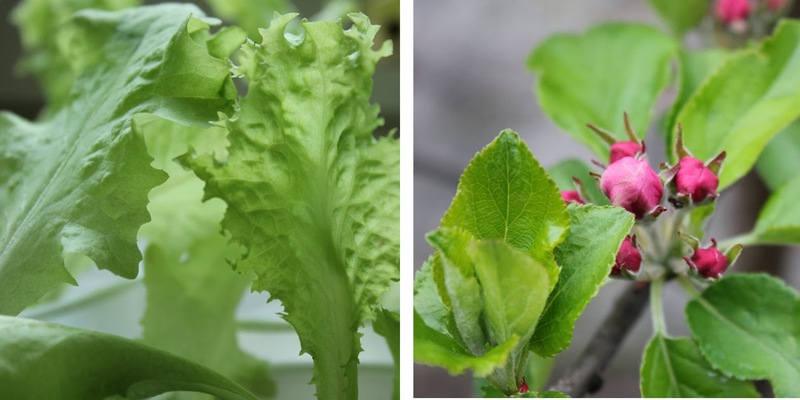 By the end of April, blossom had started to appear on the fruit trees, potatoes were planted and the first of my windowsill salad leaves were ready to be harvested. There was a quiet optimism that the endless weeks of winter might finally be over. May! To me, this is always the month when the garden properly gets going - seeds sprout, corn and beans are planted out. 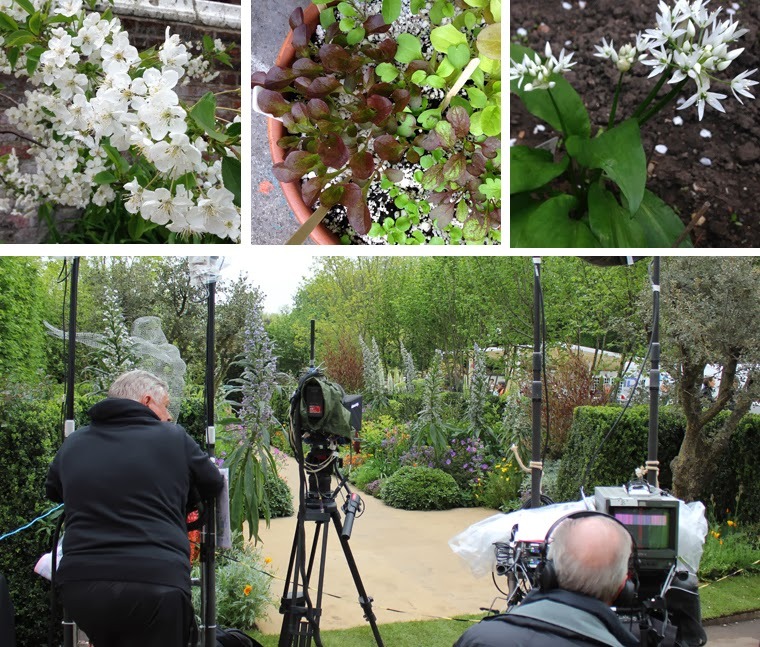 This year, the fruit trees were smothered in blossom and, of course, there was the Centenary of the Chelsea Flower Show. Probably my favourite month of last year. June was the 'almost ready' month. 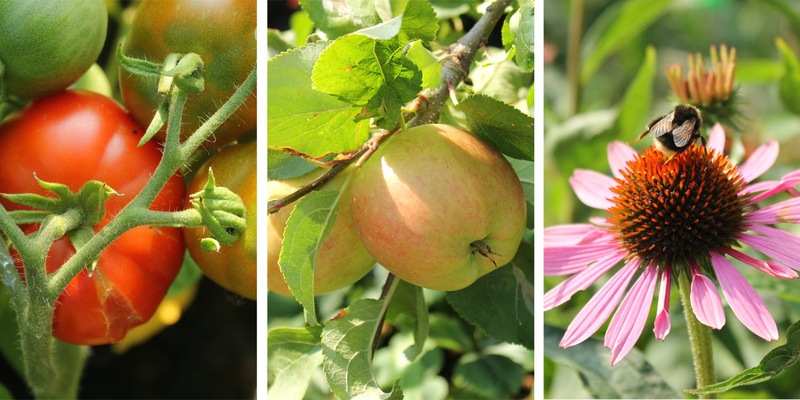 Everything was on the brink of ripening: raspberries, cherries, strawberries, redcurrants - even the pears and lemons looked like setting fruit (but didn't) and tiny apples and broad bean flowers were looking very promising. I did have an abundance of orach leaves and herbs to make up for it though! 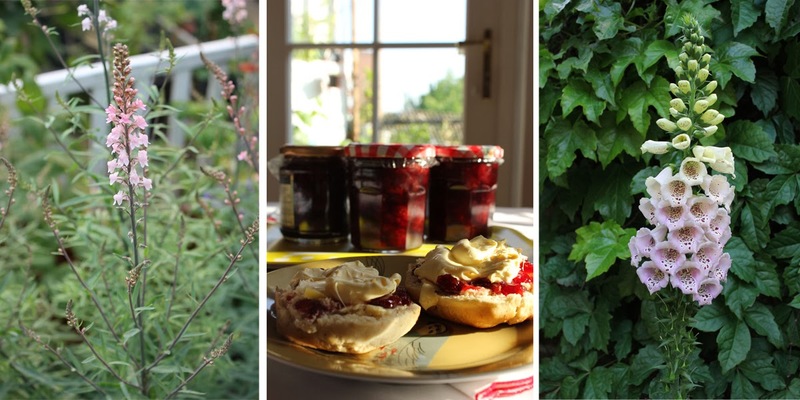 By July, the garden was filling with flowers, fruit and veg… and so many strawberries, I had to make jam. This is the moment when I always want more and regret not being more organised around sowing and planting earlier in the year … now, there's a lesson to be learned. August and September, although starting the slow decline into Autumn, brought me ripe tomatoes, tall and small sunflowers, corn, raspberries to the point of overkill, crisp Braeburn apples; there were Cape Gooseberries (physalis) until the plant got trampled by persons unknown. I also returned to college to continue with the second year of the garden design course, this year concentrating on plants. Bliss! October was the month a wallaby appeared in our playground, causing huge excitement and media interest. In the garden, the tomato fest finally drew to a close and the garden succumbed to an onslaught of nasturtium triffids and huge herbs. I also found the time to visit the RHS Harvest Festival in Westminster where I marvelled at the perfection of giant show veg and plates of perfect fruit (something to aspire to!) 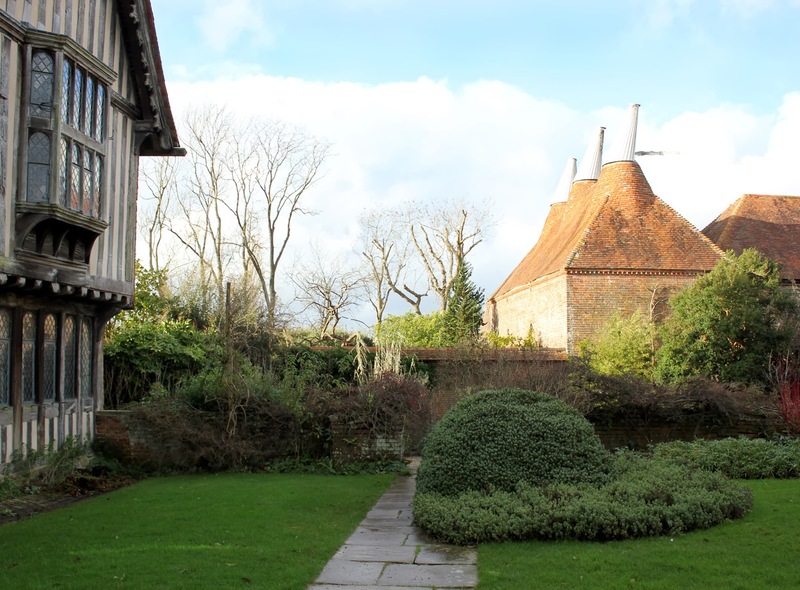 and an end of season trip back to Great Dixter as an optional trip for my college studies. Inevitable comparisons were made with the gardens in spring; next year I must try and visit in the middle of the season as well! Mild weather continued into November encouraging borage and cerinthe seeds to grow alongside the nasturtiums. A globe artichoke, nurtured from a seed, had grown too so I'm expecting great things from that plant next year and, after clearing the tomato plants, I rediscovered the perpetual rhubarb, grown from seed in early 2012 and took a few stems to try - delicious! I also foraged for Japanese quince and learnt to make quince jelly and membrillo from the fruits. And finally, into December, when a ground frost in the second week finally did for most of the nasturtiums and the big clear up and chop back began, tulips were planted, strawberry plants moved to another bed, tender herbs snuggled up for winter. And, after watching an Into Gardens video of Dawn Isaac from Little Green Fingers potting up her bulbs, I hastily ordered some paperwhite narcissus having discovered how easy they are to grow - something to look forward to in a few weeks! My apologies for the late posting of this look back over the year - it's taken an unbelievably long time to go through all my photos - the upshot of that, though, is that I've finally got round to updating the images in my blog banner - new for 2014!